New Offer for Donating Members: "The Marijuana Conviction: A History of Marijuana Prohibition in the United States"
1. Chronicle Book Review: "The Marijuana Conviction"
We read a classic text in marijuana policy reform, and see just why it is a classic. 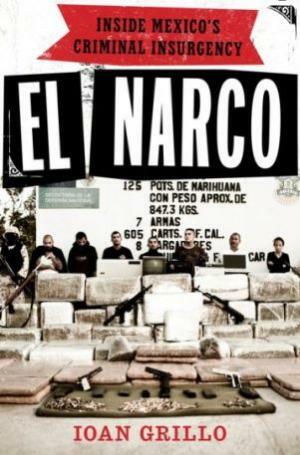 Mexico's drug cartels are exciting analytical and journalistic interest. Here, we review three new titles. 3. 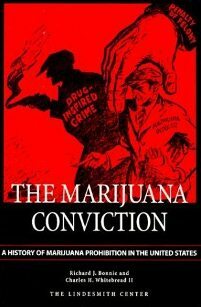 Book Offer: "The Marijuana Conviction: A History of Marijuana Prohibition in the United States"
We continue our newest offer for donating members, the drug policy classic reprint: "The Marijuana Conviction: A History of Marijuana Prohibition in the United States." This is one is available for donations of just $22 or more. Federal threats continue to hover over medical marijuana distribution across the country, and local battles continue as well. Florida becomes the first state in the nation to pass a law requiring the random, suspicionless drug testing of state employees. It will most likely be challenged in the courts. The drug testing frenzy in state legislatures continues, with the Oklahoma House passing a bill requiring testing for welfare recipients, and candidates for political office, too. The coalition behind this year's California medical marijuana initiative is shifting gears. It has dropped the initiative effort, and will instead concentrate its efforts -- and its cash -- on passing a measure in the legislature. A marijuana decriminalization has squeaked to victory in the New Hampshire House, but faces a veto threat from Gov. John Lynch (D). If Colombian President Santos has his way, you will soon be able to possess five grams of marijuana or a gram of cocaine in Colombia without fear of arrest or prosecution. Bolivian President Evo Morales told the UN Commission on Narcotics Drugs Monday that Bolivians have the right to chew coca leaves. Bolivia wants the leaf removed from the 1961 Single Convention on Narcotic Drugs, and has rejoined the treaty only with a reservation that it recognizes traditional coca use. Canadian researchers report that giving addicts maintenance doses of heroin is more cost-effective than giving them maintenance doses of methadone. Two men have been killed by police in drug raids in Miami Lakes, Florida, and New Orleans. The one in Miami Lakes was armed; the one in New Orleans apparently was not. A pretty quiet week this week, but there is a juicy scandal brewing in Florida. I recall traveling by bus (one second-class standby was Flecha Amarilla -- the passengers used to joke that the rickety line's motto was "Better dead than late") through the southern Mexican states of Guerrero and Oaxaca in the 1980s and being stopped regularly at military checkpoints replete with prominently displayed signs announcing they were part of the Mexican government's Permanent Campaign Against Drug Trafficking. The signs were bilingual, one supposes for the edification of any passing Americans, so that they would know Mexico was hard at work doing our government's bidding in the war on drugs. The soldiers would order everyone off the bus, then randomly inspect luggage. Afterwards, everyone would trudge back onto the bus, and off we'd go, past a last sign proclaiming, "Thank you for your cooperation in the permanent campaign against drug trafficking." I never saw the soldiers actually find anything. Funny thing about those checkpoints -- they never moved. Year after year, there they were in the same places. Of course, everyone in the area, including the dope growers up in the mountains and the traffickers who moved the weed, knew exactly where they were and simply went around them or paid the local military commander to look the other way when a load needed to pass. But those checkpoints were there, and the Mexican government could point to them and say, "Look, we're doing our part." That Potemkin village-style "war on drugs" worked for Mexico for many years. In the '70s, the '80s, the '90s, observers would note sardonically that Mexico was not suppressing the drug trade so much as managing it. Of course, it helped that Mexico was then under the venerable grip of "the perfect dictatorship," the one-party rule of the PRI that had governed the country more or less since the end of the Mexican Revolution in 1919. The lines of authority were clear, PRI officialdom was happy to take traffickers' bribes and keep a semblance of order in the underworld, and those bundles of pot trickling down out of the mountains became a roaring river of reefer flowing to the insatiable north. While government complicity kept the trade running smoothly -- with the occasional high-profile bust of a "kingpin" or two when the heat from Washington grew too intense -- a handful of what sophisticated Mexicans would consider country bumpkins from the mountainous western state of Sinaloa were creating the drug trafficking arrangements that evolved into the terrifying killing machines we today know as the cartels (although they are not really cartels in the normal sense of the word, as Ioan Grillo takes the time to explain, tracing the use back to descriptions of Colombian drug traffickers in the 1970s, when the Arab oil embargo was a fresh memory). Back then, one man, Miguel Angel Felix Gallardo, was the undisputed godfather of the Mexican drug trade. To avoid unnecessary strife, he and his lieutenants divvied up the plazas, or franchises for a particular smuggling location, among themselves, creating the Tijuana cartel (the Arrellano Felix brothers), the Sinaloa cartel ("El Chapo" Guzman and the Beltran Leyva brothers), the Juarez cartel (Amado Carrillo Fuentes, "The Lord of the Skies," and family), and the Gulf Cartel (Osiel Cardenas). Business was good. Profits from pot were plentiful, and in the 1980s, a new revenue stream, Colombian cocaine, only added to the permanent fiesta. Yes, there were drug killings back then. You don't rise to the top of a ruthless Mexican drug trafficking outfit by being an overly nice guy. But the violence was minimal compared to the bloodletting that has gone on since 2008, when, under pressure from President Calderon's all-out offensive against them, the cartels turned on each other in a bloody fratricidal struggle, as well as going to war against the police and the military. The killing continues to this day, as does the flow of drugs north and cash and guns south. And the alarm bells are ringing across the land, thus this spate of books. 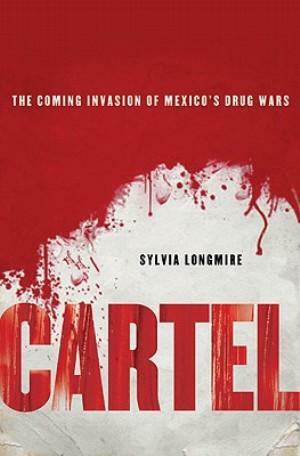 Former California state intelligence analyst Sylvia Longmire, veteran British-born Latin America reporter Ioan Grillo, and Canadian journalist and author Jerry Langton all describe the evolution of the cartels from their humble Sinaloa roots to their positions today as hugely wealthy, murderously violent drug trafficking organizations with a global reach, although they all bring different perspectives into play. There are three countries in North America, and it's as if each one gets a book here. 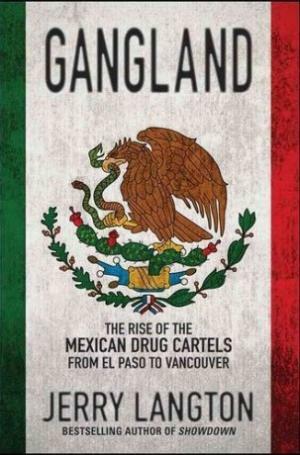 Langton is Canadian, and Gangland has Canadian concerns and connections; in Cartel, Longmire seems to speak to and from the perspective of US law enforcement and national security; while, with El Narco, Grillo seems to be most in tune with the realities on the ground in Mexico. While all three have their strengths -- Langton, for example, follows the blow-by-blow of the cartel wars in a way that really helps you make sense of those occasional blips about gangland killings that appear in the American media -- if I had to choose only one, it would be Grillo and El Narco. Grillo has spent years working in Mexico, and it shows. He feels more attuned to Mexican culture, although Langton provides some excellent historical background, and his book is the most interested in the broader social phenomena surrounding Mexico's drug wars. Grillo takes the reader into the world of the narcocorridos, the border ballads celebrating the exploits of the traffickers, and their singers, quite a few of whom have been killed for their efforts. He also explores Santa Muerte, the peculiarly Mexican church (or cult, depending on whom you ask), favored by the poor, the delinquent, and the dopers. Our authors disagree on just exactly what the cartels are. For Langton, they are essentially just frighteningly overgrown criminal gangs; for Grillo, they are a "criminal insurgency;" for Longmire, she of the national security optics, they are closer to terrorists, of whom she cites Al Qaeda and Colombia's FARC in the same breath. I don't know that I can buy either the criminal insurgency or the terrorist appellation, though. Both insurgency and terrorism imply political, or, more precisely, ideological goals. While the cartels can be said to have political goals, such as putting a paid-off politician in a powerful post, those goals are merely means to the cartels' real ends: making money. Unlike the FARC, who have a strong (if fraying at the edges) revolutionary socialist platform, or Al Qaeda types, with their Islamic fundamentalist credos, as far as anyone can tell, Shorty Guzman could care less about anything other than making money. Which is not to say the cartels aren't scary as hell. They are an insurgency in so far as they represent a serious challenge to the Mexican state's monopoly on the use of force. And they do. These guys are heavily armed, thanks in part to "straw buyer" weapons purchased in the US, some of them have police or military training (the Zetas in particular have proven to be a paramilitarized menace even to the Mexican armed forces), and they are capable of acts of exemplary savagery. They are also known to roll through cities in convoys dozens of vehicles long, all full of heavily-armed men, in brazen displays of power. Grillo notes a key turning point: the effort to arrest Gulf cartel head Osiel Cardenas in 2004, a couple of years after he formed the Zetas out of former US-trained elite anti-drug troops. In the good old days of Mexico's "war on drugs," the occasional arrest was understood as part of the game and took place in an almost gentlemanly fashion, at least at the top. But Cardenas didn't go down like that. Instead, his Zetas engaged the military in a day-long running gun battle, viciously defending their chief against the odds until his capture, and continuing to attack even as the military fled with its captive to a local airport and then back to Mexico City. Now, that's what you call a challenge to the state's monopoly on force. And that was just the beginning. Now, you can go to web sites like El Blog del Narco and read about almost daily pitched battles between narcos and soldiers. And narcos and police. And narcos and narcos. And police and soldiers. And federal police and state police. There is truly multi-sided mayhem going on. So, what is to be done about it all? None of the authors are very optimistic that anything will turn this around anytime soon. Unsurprisingly, there seems to be unanimity among them that reforming the hopelessly corrupt, complicit, and outgunned Mexican police forces is high on the agenda. A single national police force may be an answer, but that will take years, if it ever happens at all. Longmire in particular argues for smarter and more law enforcement on both sides of the border, but concedes that it's unlikely to make much difference. In the end, even she suggests that maybe we should think about legalizing marijuana. Grillo suggests that, too, noting that the cartels are making billions a year on Mexican brick weed. All of them note the utter futility of trying to eradicate the trade. But while Longmire and Grillo talk about legalizing weed, Langton correctly points out that that's a long shot, and even if you legalize marijuana, that still leaves cocaine, heroin, methamphetamine, and Ecstasy for the cartels to traffic and grow rich off of. None of them directly confront the fundamental root cause of the problem: drug prohibition. The cartels are the Frankenstein's monster of drug prohibition, created by the mad policymakers of Washington and their hunch-backed global anti-drug bureaucracy assistants in Vienna ("Yeesssss, master") and energized by an unending flow of black market dollars. Langton is right -- legalizing marijuana isn't going to do the job by itself, even if it does attack one cartel revenue stream (though that is not an argument against legalizing it). At this point, even legalizing everything will not make the cartels vanish. They are now too wealthy, too well-established. They've diversified into extortion, kidnapping, and other crimes. They own businesses. They are integrating. Still, ending drug prohibition would take substantial wind out of their sails, much as ending alcohol Prohibition severely weakened, but did not kill off, the US mob. That may be the best we can hope for. Or, barring that, Langton mentions another possibility, one not spoken much of aloud these days, but one that is being quietly murmured as the PRI appears set to retake the presidency after the July elections. Mexico can either continue down the path of the drug wars and hope the violence subsides, as with the crack epidemic in the US in the 1980s, he writes, "or they can go back to collaborating with the cartels, allowing them to keep the peace in their own way." We continue our newest offer for donating members, the reprinted drug policy classic The Marijuana Conviction: A History of Marijuana Prohibition in the United States. Originally published in 1974, this amazing work by professors Richard Bonnie and Charles Whitebread was the first comprehensive history of marijuana use and its prohibition in the United States. Bonnie and Whitebread's historical overview examines the origins and history of marijuana prohibition as well as the laws' unintended consequences. Thanks to a generous donation from our friends at the Drug Policy Alliance, we are able to offer this 368-page volume, which retails at $32.49, for $22 including shipping. (Add $2 for Canada or Mexico or $8 for overseas.) Donate $22 or more to StoptheDrugWar.org and you will be eligible to receive a complimentary of The Marijuana Conviction. Click here to make a donation online by credit card or PayPal. You can also donate by mail -- info below. Donations to StoptheDrugWar.org can be made online at http://stopthedrugwar.org/donate, or they can be mailed to: DRCNet Foundation (tax-deductible), P.O. Box 18402, Washington, DC 20036; or Drug Reform Coordination Network (non-deductible for lobbying), same address. (Contact us for information if you wish to make a donation of stock.) Be sure to indicate if you are requesting The Marijuana Conviction or another of our current gift items. Last Wednesday, the Yuba City city council voted to ban outdoor grows. The council approved an immediate 45-day ban and could extend it for up to a year, which the city says it plans to do. The council also imposed restrictions on indoor grows, saying patients must register them with the city, limit them to 50 square feet, hide any evidence of a grow from onlookers, and lock up their yards, as well as their greenhouses. Last Friday, Vallejo police raided the Red Dog Green Collective and arrested its owners. It was the third Vallejo dispensary raid in the past three weeks. Police say the crackdown is part of an ongoing move against local dispensaries. They come at a time when the city was about to begin collecting a 10% tax on dispensary sales that voters approved in November.The owners pleaded not guilty Wednesday. On Tuesday, a Riverside County judge ruled in favor of a dispensary, ordering the city of Rancho Mirage to move ahead with the inspection and permitting process for the Desert Heart Collective. The collective opened in 2010, but was later shut down by the city. Desert Heart filed a $2 million civil lawsuit against the city in February 2011. The city prohibits dispensaries "due to the significant negative secondary effects that such dispensaries have been found to create -- such as increased crime," the city attorney claimed. The city also argued that granting a permit to Desert Heart would expose it to federal prosecution, but the judge accepted Desert Heart's argument that by granting the permit, the city neither commanded the activity nor had anything to do with marijuana. Also on Tuesday, the DEA and local police raided an Upland dispensary that has been at odds with the city for the past two years. G3 Holistic was the targeted operation, and the raiders seized 25 pounds of marijuana and 89 pounds of edibles. G3 President Aaron Sandusky said DEA agents entered with guns drawn and handcuffed four patients who were present. There were "acting like a terrorist organization," he said. The city of Upland and G3 have been engaged in a lengthy court battle that will soon find its way to the state Supreme Court. Also on Tuesday, US District Court Judge Andrew Guilford set a March 26 hearing date in a case in which patients and collectives in Costa Mesa are seeking to enjoin federal authorities from sending letters ordering the closure of medical marijuana collectives in the city. The unique argument in the case is that since Congress belatedly acknowledged the votes of District of Columbia voters to authorize medical marijuana there, California patients are being denied the same right to vote to approve medical marijuana there. On Tuesday, the California Coastal Commission approved a Humboldt County ordinance limiting indoor marijuana grows. The county's Local Coastal Plan limits indoor grows to 50 square feet and has other regulations. Also on Tuesday, the San Luis Obispo County Board of Supervisors upheld an appeal against a would-be dispensary in Oceano. A resident had complained that the proposed dispensary would be within 1,000 feet of a park. Also on Tuesday, the Amador County Board of Supervisors voted unanimously to lift a 4-month-old ban on medical pot gardens and allow any single garden to be used to grow as many as 12 plants per patient for as many as two patients for a maximum of 24 plants. That is only a third of the capacity recommended in February by the county's Planning Commission. Supervisors cited a deadly marijuana-garden robbery in September as they voted for tighter limits. Also on Tuesday, the Kern County Board of Supervisors voted to fine a property owner and tenant of a property where medical marijuana was being cultivated. County inspectors found 82 plants growing on the property in January; county code allows only 12 plants per parcel. The tenant disposed of the out of compliance plants the next day, but the county is still imposing a whopping $58,000 fine. Also on Tuesday, the Madera County Board of Supervisors voted to ban cultivation within 2,000 feet of a school or church and to require that caregivers and patients live together. 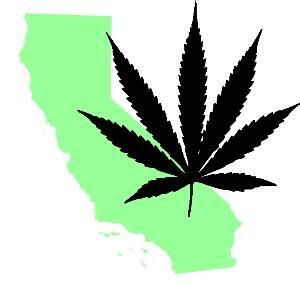 California's voter-approved medical marijuana law makes no such requirement. Also on Tuesday, the Needles city council approved a special election for a proposed city ordinance creating a medical marijuana business tax. The approval is to put a tax in place for up to 10% on gross sales of marijuana. If the tax is approved by voters, the city council would approve an ordinance related to the tax. Language has already been created for that ordinance. The ordinance defines how businesses would pay the tax, defines marijuana, marijuana business and other terms. On Tuesday, Boulder County DA Stan Garnett sent a letter to federal prosecutors asking them to halt their crackdown on dispensaries that are abiding by state law. "I can see no legitimate basis in this judicial district to focus the resources of the United States government on the medical marijuana dispensaries that are otherwise compliant with Colorado law or local regulation," Garnett wrote in the letter to Colorado US Attorney John Walsh. "The people of Boulder County do not need Washington, DC, or the federal government dictating how far dispensaries should be from schools, or other fine points of local land-use law." Walsh has sent threat letters to 23 Colorado dispensaries, forcing them to close. Also on Tuesday, a proposed medical marijuana initiative was filed for the November ballot.The new measure, Proposed Initiative No. 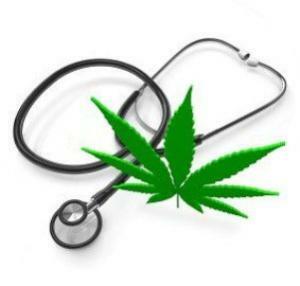 65, would give doctors discretion to recommend marijuana for any medical condition. Currently, a doctor must diagnose a patient with one of eight medical conditions in order for the patient to qualify for medical marijuana. Proponents will need to gather 86,000 valid voter signatures to make the ballot. On Tuesday, medical marijuana advocates unveiled billboards urging viewers to educate themselves about the issue. "Legalize Medical Marijuana" shouts one, with a godlike hand extending from the heavens, a marijuana leaf in its palm. Facing it is the photo of a senior in a wheelchair and the caption "I'm a Patient Not a Criminal." The billboards urge readers to contact the Silver Tour, a group founded by 1970s pot smuggler and recently released federal drug war prisoner Robert Platshorn to enlighten senior citizens about the benefits of the herb. Last Thursday, Gov. Martin O'Malley's office said he would veto any legislation legalizing medical marijuana in the state. His spokesman cited concerns about federal scrutiny. The comments came as legislators began debating three medical marijuana bills in the House of Delegates. "We have some serious concerns about liability," said O'Malley spokeswoman Raquel Guillory. "Those concerns were raised by US attorneys across the country. Based on those concerns, it is probably likely we would veto any legislation." Last Tuesday, the Montana Supreme Court set an April 30 hearing date for arguments over whether a judge was right to block portions of last year's medical marijuana overhaul by the legislature. District Judge Jim Reynolds last year blocked four provisions of the law from taking effect, including a ban on profits from medical marijuana sales. State prosecutors argue that the commercial sale of marijuana is illegal under state and federal law, and that Reynolds abused his discretion with his injunction. The groups challenging the new law, led by the Montana Cannabis Industry Association, say Reynolds should have gone further and blocked the entire law. Last Wednesday, the Plumstead Township Committee reversed itself and voted to support the introduction of an ordinance that would allow a medical marijuana company to apply for an operating permit. Members said they feared the township could be sued for not complying with the state's medical marijuana law, and that without an ordinance, a medical marijuana operation could set up near a school. The committee repealed a December ordinance blocking permit applications not in compliance with federal law. Efforts to open dispensaries in New Jersey have been plagued by NIMBYism. On Monday, a California man charged for possessing medical marijuana hosted a rally outside the Middletown court house. Eric Hafner was charged with marijuana and paraphernalia possession, but is arguing that his California doctor's recommendation for him to use marijuana should be honored in New Jersey. Hafner suffers from PTSD, but that syndrome is not recognized under New Jersey's law, so he his supporters organized a rally in support of adding PTSD to that list. They walked along Kings Highway, outside of the Middletown courtroom building, before during and after his case was being heard, showing signs and offering information about the cause and Hafner's case to anyone cared to listen. On Tuesday, Ken Wolski announced that he had been selected Green Party US Senate candidate. Wolski, one of the state's most well-known medical marijuana activists, is head of the Coalition for Medical Marijuana-New Jersey. On the final day of the state's legislative session, the Florida Senate last Friday approved a bill allowing state agencies to force their employees to submit to random, suspicionless drug testing. The bill passed on a near party line vote of 26-14. The measure had already passed the House. Gov. Rick Scott (R), who tried to get state employee drug testing enacted via executive order only to see it blocked at least temporarily by a federal judge's injunction, is certain to sign it. The measure, House Bill 1205, authorizes state agencies to require that employees submit to random, periodic, suspicionless drug testing. Under the bill, 10% of an agency's work force would be tested every three months. The bill strips out provisions in Florida law limiting drug testing to safety-sensitive positions and makes it easier to fire a worker after a first confirmed positive drug test. The bill is almost certain to face challenges in the courts, labor leaders and civil libertarians told the Associated Press. The federal courts consider drug testing a search and thus subject to Fourth Amendment proscriptions against warrantless searches. The federal courts have carved out only limited exceptions to the general rule -- for safety-sensitive positions, for some police doing drug law enforcement, for some high school students -- and have ruled against earlier efforts to drug tests elected officials and welfare recipients. Rich Templin, legislative director for the Florida AFL-CIO, said the program probably will mean more lawsuits for the state when Scott signs it. AFL-CIO unions represent about 100,000 state employees. "This is just another attempt to vilify state workers and make them the problem," said Templin. "State workers don't trade their constitutional rights for a state paycheck or other benefits," said Howard Simon, executive director of the ACLU of Florida. "Unfortunately, the governor and legislature appear to want to re-learn that lesson over and over again." One of the few Republicans to vote against the bill said he hadn't seen any evidence that state employees used drugs at a rate any higher than the population at large. "I haven't been running across drug-addled employees unable to do their job," said Sen. Joe Negron (R-Stuart). Suspicionless drug testing is "how we lose our liberties," said Sen. Maria Sachs (D-Boca Raton). "What could be more intrusive than a search of your own body?" she asked. "This is one more step down the slippery slope of becoming a nanny state." "You're talking about testing some clerk at the DMV; what probable cause do you have? 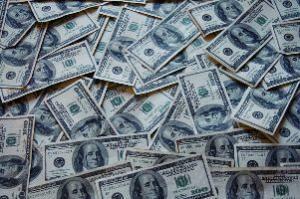 This is expanding government for no good reason," said Sen. Chris Smith (D-Ft. Lauderdale). The bill's senate sponsor, Sen. Alan Hays (R-Umatilla) protested that, although the bill makes it easier to fire employees who use drugs, it is designed to help them. "Think about the preventative aspects," the Umatilla Republican said. "We owe it to our state employees." The Oklahoma House of Representatives Monday passed a bill requiring poor people seeking public assistance to be subjected to random, suspicionless drug testing. The bill sailed through the House on an 82-6 vote. Before the final vote, but after being needled by Democrats, who chided their Republican colleagues for singling out the poor for drug testing, the House passed an amendment to the bill that also requires anyone seeking state or local office to certify they have passed a drug test within 15 days of filing papers. The amendment passed 68-12 on a bipartisan vote, despite the objections of bill sponsor Rep. Guy Liebman (R-Oklahoma City). Under the measure, House Bill 2388, persons receiving benefits under the Temporary Assistance for Needy Families (TANF) program would have to submit to a drug test at their own expense within three months. 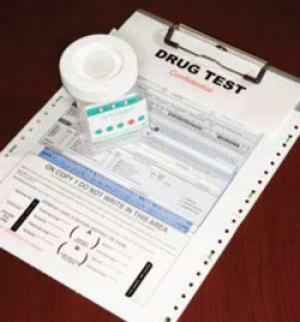 Failure to comply would result in disqualification from the program until that person submits to a drug test. A positive test result would mean that person would be ineligible for the program for one year, although he or she could reapply after six months if he or she has successful completed drug treatment. "The message of this bill is simple," said Liebman. "Oklahomans should not have their taxes used to fund illegal drug activity. Benefit payments that have been wasted on drug abusers will be available for the truly needy as a result of this bill, and addicts will be incentivized to get treatment." A legislative staff fiscal analysis of the bill found that it could save the state $582,000, more than half of which would come from not having to pay for drug treatment for people thrown off TANF. The remaining savings to the state would come from not having to pay benefits to the estimated 84 people who would be thrown off the rolls (out of more than 13,000 families). The fiscal analysis also noted that the bill would cost TANF recipients more than $800,000 in drug testing fees, in effect saving the state money by placing a greater burden on its poorest members. The analysts also warned that "any legal expenses could offset the savings" to the state. But Liebman didn't care about that. "Even if it didn't save a dime, this legislation would be worth enacting based on principle," he said. "Law-abiding citizens should not have their tax payments used to fund illegal activity that puts us all in danger." Although Liebman was cavalier about it, the state runs the risk of running up a substantial legal bill defending the bill if it becomes law. The random, suspicionless testing of public benefits recipients was found unconstitutional by a divided federal appeals court panel in 2003 after Michigan passed a similar law in 1999. The panel held that it violated the Fourth Amendment's ban on unwarranted searches and seizures. The state of Michigan did not appeal that decision. The state of Florida passed a similar law this year; it has been blocked by a federal district judge's temporary injunction. That judge has hinted broadly that she will soon make that a permanent injunction. As for requiring candidates for public office to submit to drug tests, the US Supreme Court ruled a similar Georgia law unconstitutional in 1997 in Chandler v. Miller. 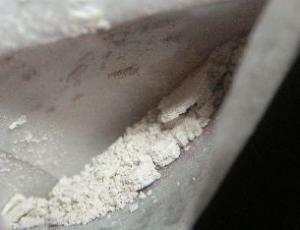 The federal courts have consistently held that random, suspicionless drug testing violates the Fourth Amendment and have carved out only specific, limited exceptions, including people in safety-sensitive positions, such as truck drivers and airline pilots, among police engaged in drug law enforcement, and for high school students (but only those engaged in sports or extracurricular activities). All of the federal precedents didn't seem to mean much to Republican bill supporters. "If the courts want to overturn it, have at it," said Rep. Doug Cox (R-Grove). The bill now heads for the state Senate. The coalition of activists who had put together a proposed initiative to enact statewide regulations on California's chaotic medical marijuana system are dropping that effort and will instead focus on getting a nearly identical bill passed in the state legislature, they announced last week. The initiative, the Medical Marijuana Control, Regulate and Tax Act (MMCRT) had been aimed at the November ballot, but faced daunting challenges in getting there. The act needed more than 500,000 valid voter signatures in the next five weeks to make the ballot, and campaign organizers said they didn't have enough money to pay for signature-gatherers to get over the hump. Dan Rush, the Oakland-based head of the national UFCW's Medical Cannabis and Hemp Division, told the Sacramento Bee last Thursday that the initiative effort was over. "We're not doing the initiative. We're pulling the plug on it," he said. Both Rush and Steph Sherer, executive director of Americans for Safe Access, which had also backed the initiative, said money was the issue. The campaign had raised $1.2 million, but backers estimated they needed $2 million to make the ballot. While the ballot measure may be dead, the effort to bring some much needed order to the state's medical marijuana scene is not. "We're not dropping anything," Sherer told the SF Weekly Thursday night, adding that the cash raised would go for a "public awareness campaign" aimed at lawmakers. While the ballot measure won't be on the ballot, it "achieved its dream -- to get something in the legislature," she said. That "something" is Assembly Bill 2312, introduced by one of marijuana law reform's staunchest allies in the legislature, Assemblyman Tom Ammiano (D-San Francisco). Like the initiative, it would impose statewide regulation on the commerce in medical marijuana, while protecting the rights of patients. AB 2312 was introduced at the end of last month, and may get a hearing March 27. 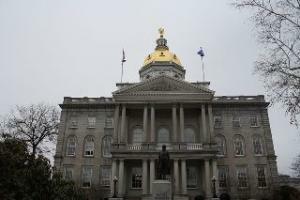 The New Hampshire House barely passed a marijuana decriminalization bill last Thursday. The bill squeaked by on a 162-161 vote, not enough to overcome a threatened veto by Gov. John Lynch (D). Supporters were able to win passage only after Republican House Speaker Bill O'Brien abstained, allowing the one-vote victory. The bill, House Bill 1526, would make possession of less than a half-ounce of marijuana a civil infraction for the first and second offenses, with fines capped at $250 and $500, respectively. Subsequent offenses would be misdemeanors punishable by up to a year in jail and a $1,000 fine. Current law specifies up to a year in jail and a $2,000 fine for any simple marijuana possession offense. The bill is "a measured and calculated reduction in penalties," wrote Rep. Kyle Tasker (R-Nottingham) in a report on the measure he wrote for the Criminal Justice Committee, which earlier approved it. It has worked well in neighboring states that have adopted it, he added. But Gov. Lynch has promised to veto the measure if it makes it past the Senate. "Marijuana is a controlled drug that remains illegal under federal law. New Hampshire parents are working to keep their kids away from marijuana and other drugs. We should not make the jobs of parents -- or law enforcement -- harder by sending a false message that some marijuana use is acceptable," Lynch spokesman Colin Manning told the Associated Press after the vote. Fourteen states have decriminalized marijuana possession, including New Hampshire neighbors Massachusetts, Maine, and Connecticut. 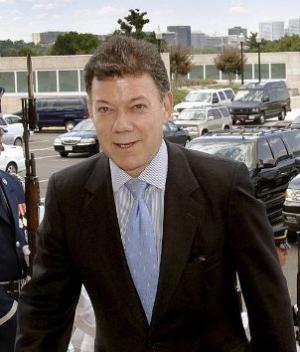 The government of Colombian President Juan Manuel Santos is preparing legislation that will set "personal dose" amounts for drugs that will allow for their possession without the possibility of arrest or prosecution, the Bogota newspaper El Tiempo reported Tuesday. The decriminalization legislation could be presented as early this week, the newspaper said in its exclusive report. Colombia was the first Latin American country to decriminalize drug possession after a ruling by its Constitutional Court in 1994. But during the presidency Santos' predecessor, Alvaro Uribe, the government amended the constitution to criminalize drug use, effectively re-criminalizing drug possession. Last year, the Colombian Supreme Court threw out Uribe's changes, ruling that the possession of small quantities of drugs for personal use was a constitutional right. This pending legislation recognizes last year's ruling and actualizes it by setting the "personal dose" amounts. The 56-page document seen by El Tiempo sets the "personal dose" amount at five grams for marijuana and one gram for cocaine. It also sets "personal dose" amounts of 200 milligrams, or three pills, for amphetamine-type stimulants, such as methamphetamine and MDMA. The five gram limit for marijuana is only one quarter the amount originally decriminalized, and has led some in Colombia to worry that it is too low. "More consumers, for example, a young man traveling to a farm who carries more than five grams (hardly more than three or four joints) could be prosecuted as drug traffickers," warned Julian Quintero, director of Social Action, a group that works with young drug users. The move by the Santos government comes as Santos prepares to lead a discussion on drug legalization and other alternatives to prohibition at the forthcoming Summit of the Americas in Cartagena next month. Pressure for serious discussions of legalization and its alternatives has been building in the region in recent weeks. Holding a coca leaf in his hand, Bolivian President Evo Morales Monday told a United Nations anti-drug meeting that Bolivians had the right to chew coca leaves, saying coca was not cocaine and that its use by Bolivians was an ancient tradition. "We are not drug addicts when we consume the coca leaf. The coca leaf is not cocaine, we have to get rid of this misconception," he said in a speech that generated applause in the hall. "This is a millennia-old tradition in Bolivia and we would hope that you will understand that coca leaf producers are not drug dealers," the one-time coca growers' union leader added. "We are very much aware of the damage that can be done by cocaine and we are working against drug trafficking... but we want the recognition of these ancestral rights," Morales said. Morales was speaking at the annual meeting of the Commission on Narcotic Drugs in Vienna. Bolivia has taken issue with coca's inclusion in the 1961 UN Single Convention on Narcotic Drugs. Last year, it announced it was withdrawing from the treaty over the issue, and on January 1, Bolivia rejoined, but with the reservation that it recognized coca chewing. 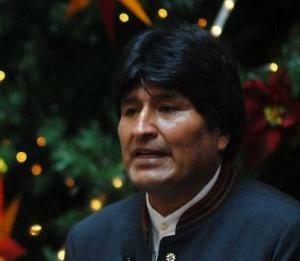 Whether Bolivia will gain support from enough other countries to do that remains unclear. Under the treaty, the other countries that are signatories have one year to consider Bolivia's reservation. Unless one-third of them -- 62 countries -- object, the reservation "shall be deemed to be permitted." In remarks reported by Reuters, Yury Fedotov, head of the UN Office on Crime and Drugs (UNODC), told a news conference in Vienna there was substantial opposition to Bolivia's move. "We know that some countries already conveyed to us their strong opposition," he said, adding that he feared allowing Bolivia to make an exception for coca could cause "a domino effect." Fedotov's fellow countryman, Victor Ivanov, head of the Russian Federal Drug Control Service, also spoke against the Bolivian move, saying "[w]e need to do everything we can against legalizing drugs." Bolivia is the world's third largest coca and cocaine producer, behind Peru and Colombia. The Morales government has been trying to promote coca-based industries, with everything from coca tea and chewing gum to coca bread, while at the same time it is cooperating internationally with efforts to suppress the cocaine trade. Bolivians have chewed coca leaves for thousands of years. Its mild stimulant effects take the edge off hunger and mitigate altitude sickness, and Bolivia is adamant that its traditional uses be recognized and the plant removed from the Single Convention. Treating intractable heroin addicts with a pharmaceutical version of their drug is more cost-effective than providing them with methadone, a common opioid substitute, a study published Monday in the Canadian Medical Association Journal suggests. The study analyzed data from the North American Opiate Medication Initiative (NAOMI ), a 2005-2008 study that compared the use of diacetylmorphine (heroin) and methadone in street addicts. In the NAOMI study, researchers selected 250 subjects in Vancouver and Montreal who had been strung out for at least five years and had twice previously failed on methadone maintenance. Participants were randomly chosen to take either heroin or methadone. Researchers in this study examined the cost-effectiveness of the two approaches in one-year, five-year, 10-year increments, as well over the lifetimes of the users. The study found that those using methadone generated an average lifetime social cost of $1.14 million, while those using heroin had a cost of $1.1 million, a difference of about $40,000 per user. An estimated 60,000 to 90,000 Canadians are addicted to heroin or other opioids. "If you are on treatment, you're basically well-behaved," principal investigator Aslam Anis, a health economist at the University of British Columbia told the Canadian Press Monday. "When you're not taking treatment, for instance when you relapse, you're doing all kinds of bad things, criminal activity, getting into jail. The cost benefit is through an indirect effect," said Anis, through fewer robberies and other crimes, which have an adverse impact on victims and drive up criminal justice system costs. "People who take (medical) heroin are retained on the treatment for longer periods of time and they have shorter periods of time when they relapse," Anis said. "And when you add it all up, you find that you've actually saved money." "Methadone can be a very effective medication for some people, but it doesn't work for everybody with heroin addiction," said coauthor Dr. Martin Schechter, an epidemiologist at UBC's School of Population and Public Health. "And there is a subset of folks who go in and out of treatment and ultimately end up back using street heroin. They would be unlikely to be attracted into yet another methadone program," he said. "But giving them injections of medically prescribed heroin in a clinic setting staffed by doctors, nurses and counselors gets them back into the health-care system. It also cuts the risk of infection with hepatitis C and HIV from needle-sharing. So diacetylmorphine is a medically prescribed heroin that we show in the study was more likely to keep people in treatment. And we know that keeping people in treatment is a very important predictor of success." No matter what this or any other study finds, the Conservative Canadian government is opposed to harm reduction measures, such as safe injection sites and heroin maintenance therapies. Still, said Schecter, the government needs to face reality. "The fact is that these people are taking heroin right now. They're in the back alleys in the Downtown Eastside, they're buying the heroin on the street, contributing to the black market and crime and violence," he said. "And they're not in any treatment and they're costing the system lots and lots of money. So our proposal says rather than having them do that in the back alley, why don't we attract them into a clinic where they will be in contact with doctors and nurses and counselors, we stabilize them by getting them out of a life of crime." So, is anybody listening in Ottawa? Probably not, but the current government won't be in power forever. Two drug raids last Wednesday, one in Miami Lakes, Florida, and one in New Orleans, have resulted in the deaths of two men, one in each raid. Michael Ray Santana, 26, of Miami Lakes and Wendell Allen, 20, of New Orleans become the 14th and 15th persons to die in US domestic drug law enforcement operations so far this year. In Miami Lakes, according to police, Santana was shot and killed after he confronted members of the Miami-Dade police Special Response Team, a SWAT-style outfit, serving a "high risk narcotics search warrant" at his residence. Police said officers knocked, announced themselves, and then went inside, when they were confronted by a man armed with a firearm. Santana was the subject of the police investigation, and police said they found numerous firearms and a substantial amount of unspecified "narcotics" in the residence. In New Orleans, according to police, Allen was shot in the chest and killed by a police officer serving a search warrant at a home where he was present. Officers from both the New Orleans Police Department and Jefferson Parish Sheriff's Department took part in the raid, but the identity of the officer who fired the fatal shot has not been made public. Police made no mention of any weapons found. New Orleans Police Superintedant Ronal Serpas said the house in the Gentilly district had been under surveillance for several days. "Today, multiple narcotics transactions of a distribution nature were observed," he said, adding that a person who left the house was later charged arrested for intent to distribute "narcotics." Serpa did not identify either the shooter or the dead man, and he didn't take questions during a brief press conference. But a distraught woman at the scene of the shooting told the New Orleans Times-Picayune he was her grandson, Wendell Allen. Allen's shooting was the second fatal police shooting in the NOPD's 3rd District in less than a week. 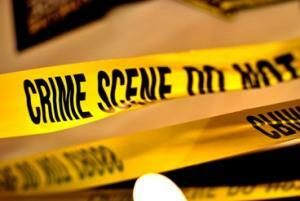 As people milled around the scene of the shooting, one woman screamed, "Lord have mercy! Why does this stuff keep happening?" Another shouted, "The policeman killed him. They killed my baby." Allen had one arrest on his record, for possession of marijuana with intent to distribute. He was one year into a five-year suspended sentence when he was shot and killed. In the days since Allen's death last week, a growing clamor has arisen.The Louisiana Justice Institute is threatening to sue the city unless it releases more information on the killing. Police have yet to supply a narrative of what happened, and the officer who pulled the trigger has yet to be interviewed. Family members and community activists demonstrated last Friday and again on Tuesday to keep up the pressure. What is clear is that the raid was aimed at small-time marijuana dealing, and Allen wasn't the subject of the raid. In New York City, an NYPD officer was convicted last Thursday of lying under oath during an application for a search warrant. Officer Michael Carsey, 31, unlawfully stopped and detained a Harlem man, then falsely testified during the search warrant application and at a later hearing that the man admitted having guns and drugs in his apartment. Carsey's partner, Sgt. William Eiseman, 39, had pleaded guilty in June to perjury for lying under oath, conducting unlawful searches and seizures in Northern Manhattan, and directing subordinates to falsify paperwork in order to make the arrests appears to be legitimate. Carsey had been acquitted on those charges last fall, but was convicted of perjury and false filing Thursday. He was sentenced to three months in jail and five years probation. In Clearwater, Florida, the scandal in the Pinellas County Sheriff's narcotics unit continues to grow. Narcotics officers are already being investigated for making warrantless searches and surveilling a local hydroponics store, and now three detectives are accused of improperly and routinely accessing Progress Energy billing records for years as they searched for marijuana grows. Sheriff Bob Gualtieri has now launched six new internal affairs investigations, in addition to nine he revealed last week. One narcotics supervisor has been reassigned, while two of the detectives have been demoted and assigned to patrol division. The other detective has already left the unit. March 18, 1839: Lin Tse-Hsu, the imperial Chinese commissioner in charge of suppressing the opium traffic, orders all foreign traders to surrender their opium. In response, the British send expeditionary warships to the coast of China, initiating the First Opium War. March 19, 1983: Best known for her role in Just Say No, First Lady Nancy Reagan appears on the NBC sitcom Diff'rent Strokes, declaring: "Let me tell you a true story about a boy we'll call Charlie. He was only 14 and he was burned out on marijuana... One day, when his little sister wouldn't steal some money for him to go and buy some more drugs, he brutally beat her. The real truth is there's no such thing as soft drugs and hard drugs. All drugs are dumb... Don't end up another Charlie." March 17, 1999: A report by the Institute of Medicine -- part of the prestigious National Academy of Sciences -- for the Office of National Drug Control Policy states that "there is no conclusive evidence that the drug effects of marijuana are causally linked to the subsequent abuse of other illicit drugs" and "scientific data indicate the potential therapeutic values of cannabinoid drugs for pain relief, control of nausea and vomiting, and appetite stimulation." March 19, 2001: Mexican President Vicente Fox is quoted in the Associated Press: "[T]he day that the alternative of freeing the consumption of drugs from punishment comes, it will have to be done in the entire world because we are not going to win anything if Mexico does it, but the production and traffic of the drugs... to the United States continues. Thus, humanity will one day view it [legalization] as the best in this sense." March 20, 2002: Reuters reports that British scientists found that motorists who smoke a cannabis joint retain more control behind the wheel than those who drink a glass of wine. Research from Britain's Transport Research Laboratory showed drivers found it harder to maintain constant speed and road position after drinking the equivalent of a glass of wine than after smoking a "spliff." March 21, 2003: President Bush announces his intention to nominate Karen P. Tandy to be the Drug Enforcement Administration's new administrator. Tandy served in the Department of Justice (DOJ) as Associate Deputy Attorney General and Director of the Organized Crime Drug Enforcement Task Force. She also previously served in DOJ as Chief of Litigation in the Asset Forfeiture Office and as Deputy Chief for Narcotics and Dangerous Drugs. Earlier in her career, she prosecuted drug, money laundering, and forfeiture cases as an Assistant United States Attorney in the Eastern District of Virginia and in the Western District of Washington.